Ohio Willow Wood has expanded LimbLogic® VS's versatility by broadening the conditions in which it will operate. 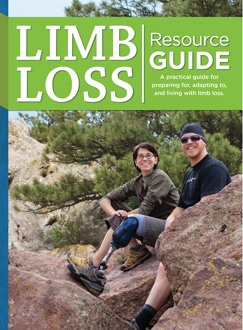 Prosthetists may advise patients that LimbLogic VS can be used in wet environments and even immersed in fresh water. This is the only waterproof electronic elevated vacuum suspension system available in the prosthetic market. Ohio Willow Wood's Thermoplastic Drop-In Adapter maintains an airtight seal with LimbLogic VS and permits the system to be used with thermoplastic sockets. For added comfort, the adapter allows for the fabrication of a distal cup that replicates the user's correct anatomical shape. Designed to accommodate larger patients, the 650 Adjustable Posterior Upright (APU®) Bariatric PRAFO® from Anatomical Concepts can be used for ambulatory and recumbent patients and offers all the functionality of the standard APU. Kodel® boot fits across a dorsum measurement up to 23 in. Footplate width is 5 in. Length extends from 12½ to 13¾ in. Height extends from 14 to 15 in. (can be trimmed shorter). Calf strap adjusts from 21 to 32 in. Heavy-duty 3/16 in. aluminum APU heel-suspension bar is standard. Available with traditional green/white or black liner (shown). 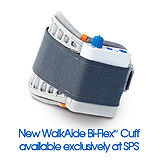 SPS is pleased to launch the new WalkAide® Bi-Flex™ Cuff, designed to provide a secure fit and optimal electrode positioning to enhance reproducibility of outcomes both inside and outside clinical settings. Visual indicator helps accurately align the WalkAide system for consistent positioning. 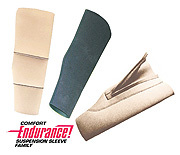 Universal fit can be used on either the left or right leg and is available in three convenient sizes. Electrode locators help ensure precise electrode placement every time for optimized stimulation. Dual durometer construction; the rigid side helps secure the cuff while allowing one-handed donning and doffing; the soft side conforms to the leg for total electrode contact. Orthofeet is adding a large selection of breathable shoes to its spring collection. The selection includes Fisherman and Mary Jane shoes in a variety of colors, offering unsurpassed comfort and protection. KKThe forefoot area is made of stretchable fabric mesh that eases pressure on bunions and swelling feet. KK Padded fabric lining enhances comfort and eliminates pressure points. KK Ergonomic Sole™ design provides a true toe-spring, reducing stress at the forefoot. The EWHO rotation design facilitates slow, gentle movement of the forearm toward supination or pronation and simultaneous extension or flexion of the elbow during the patient fitting. After applying the proximal elbow section and the distal forearm section, the forearm section can be gently rotated and fixed into the desired position. 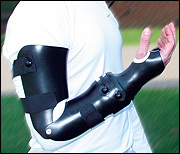 Ultraflex therapeutic/stretching bracing provides precise dynamic stimulus and proper posturing to maintain/increase muscle length for improved grasp, pinch, and release functions. It is ideal for challenging neurological conditions such as CP, post-stroke, and TBI. Following in the footsteps of the hugely popular Extreme Locking Liner, SPS is launching the new Extreme Cushion Liner with a sampling program. SPS customers may choose to receive the 3mm or 6mm profile of the 24cm, 26cm, or 28cm size as a free sample. One sample per practitioner is available January 1-31, 2010. Applicable to TT or TF amputees. Available in 3mm or 6mm uniform sizing to fit circumferences ranging from 16-53cm. Eighty percent less vertical stretch posteriorly virtually eliminates pistoning while minimizing bunching behind the knee during flexion. Orthofeet is adding elastic Mary Jane shoes to its extensive line of stretchable shoes. These innovative shoes integrate attractive design with ultimate comfort and protection. Non-binding design without firm reinforcement at the toe box allows unrestricted stretch at the entire forefoot,including the tip ofthe shoe. Seamless lining padded with extra foam enhances comfort and offers unsurpassed protection. The UltraQuick Release™ is a universal component used for quick and easy conversion from a KAFO to a KO or AFO and back; or from an EWHO to an EO or WHO and back. Address the changing physiology of post-stroke patients with the Ultraflex Adjustable Dynamic Response™ (ADR™) KAFO/AFO with the UltraQuick Release. Use the UltraQuick Release for multiple treatments goals like increasing muscle length and strength and providing functional assist during ambulation, by connecting an Ultraflex therapeutic/stretching KO to an Ultraflex Adjustable Dynamic Response (ADR) AFO. Our Model 980-HD Quick Disconnect™ has been redesigned to provide users with an easier method for releasing the mechanism. Now, with a simple push of a button, you can quickly disconnect one section of an orthosis from another. KiddieGAIT SoftSHELL combines the soft interface system of SoftKIT with a fun print textile cover made just for kids! A clever slip-on sleeve design, the KiddieGAIT anterior shell slips in between the plush SoftKIT interface and fun print front cover. The straps have D-ring cinch closure for easy, adjustable, tension application. 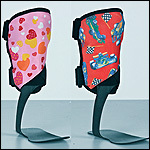 Choose from pink or red with fun print pattern. Machine washable. 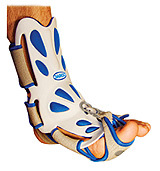 SPS now has the DARCO Body Armor® Night Splint, the only night splint on the market today whose toe strap dorsiflexes the first MPJ to provide a specific and sustained stretch of the plantar fascia and a sustained low-load stretch of the flexor tendons, Achilles tendon, and calf muscles. Loads the Windlass mechanism, naturally bringing the foot/ankle to near 90-degree angle. Low-profile design allows for maximum user comfort and compliance. Practitioners who use offset plates can now do so with less added weight. 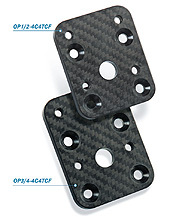 Prosthetic Design Inc. introduces Carbon Fiber Offset Plates. The plates are available in three sizes: ½ in., ¾ in., and 1.418 in. Offset in either AP or ML orientation for patients up to 325 lb. The Carbon Fiber Plates reduce weight by 40 percent compared to the equivalent aluminum versions. 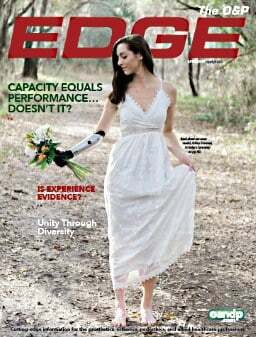 Contact Prosthetic Design Inc. for more information and recommended L-Codes. Dycor's DR feet are lightweight and resilient because they rely on deflection of the varying-thickness leaf springs imbedded in the upper keel member, rather than compression of rubber bumpers. The DR feet are ground compliant because they incorporate uni, bi-, or tri-axial ankle articulation with low- or medium-profile options.